A mandatory consumer drone registration system looks set to be in force in the U.S. before the end of the year after an industry task force delivered its proposals for the system on Saturday. The group, which included representatives from Google, Amazon and 23 other organizations that use and make drones, was asked a little less than a month ago to come up with the proposal. With its submission on Saturday, the FAA and U.S. Department of Transport (DOT) will consider the recommendations along with several thousand comments from members of the public before announcing an interim rule. That is due in December and will go into force soon after it's published, the DOT said. The fast pace of rule making became necessary because the FAA and DOT are concerned that hundreds of thousands of drones will be given as gifts during the year-end holidays leading to a spike in safety incidents involving the craft. 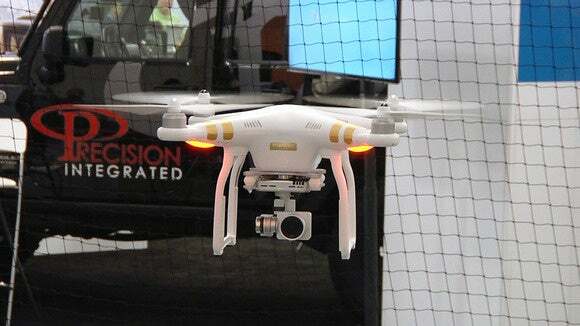 Drones have interfered with California wildfire operations, buzzed uncomfortably close to airports and airplanes, carried contraband into a prison yard and crashed a U.S. Open tennis tournament -- and at present there is no easy way for anyone to identify who the drone belongs to or who is operating it, short of physically locating the person. The FAA didn't detail the recommendations of the task force, but they are reported to include the requirement to register drones that weigh 250 grams or more. Registration would be completed online, cover multiple drones owned by the same person and owners would have to attach their registration number to their drone. What wouldn't change is the current rules under which consumers can fly drones. Regulations are relatively light as the craft are supposed to remain in unregulated airspace below 400 feet and not take off within 5 miles of an airport, but its the failure of some pilots to abide by these restrictions that has prompted the move to a registration system. The DOT, which oversees the FAA, has said that even though unmanned aircraft are doing things such as inspecting infrastructure and crops and aiding wildlife monitoring, they have also begun to interfere with people's lives, sometimes in dangerous ways. Pilots have reported seeing unmanned aircraft twice more frequently than they did in 2014. Some forecasts say 400,000 new drones could be in homes by the end of the year, meaning that unmanned aircraft could soon far outnumber manned aircraft in the U.S. airspace, the DOT noted. Separate rules governing commercial flight of drones are also being formulated by the FAA under a longer process that isn't expected to be complete until 2017.